Real Madrid moved four points clear of Barcelona at the top of La Liga thanks to a 0-2 victory at Elche. Isco put in a superb performance to guide Los Blancos to their third consecutive win, thanks to goals from Karim Benzema and Cristiano Ronaldo. Carlo Ancelotti men came out strong and had two big chances to score in the first five minutes. 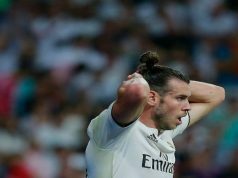 Gareth Bale’s goal was disallowed for offside and Cristiano Ronaldo’s shot hit the woodwork. Los Merengues dominated the first half completely and even had another goal disallowed before the break. Benzema sent the ball to the back of the net with a brilliant bicycle kick, but the offside flag was raised again. Elche tried to react in the second half as Victor Rodriguez found some space inside the box and curled an effort straight at Iker Casillas. 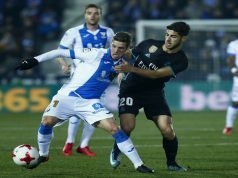 Yet, the visitors took the lead just before the hour mark as Benzema turned home from close range following a terrible mix-up inside the Elche box. Ten minutes later, Los Blancos sealed the victory thanks to Ronaldo. Isco reached the byline and clipped in a cross, before the Portuguese attacked the ball with a powerful header into the back of the net. 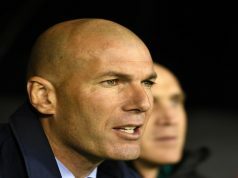 Real consolidate their lead in La Liga after the difficult days that followed the 4-0 defeat against Atletico Madrid. Since the derby, Los Blancos have won three straight games against Deportivo de La Coruna, Schalke and Elche.